The availability of seed-stage funding today means that there are a ton of first-time entrepreneurs out there assembling teams and building companies without any experience running a team or managing people. Building a team in this environment is especially difficult because funded companies typically grow teams prior to sustainability or product-market fit. It’s hard to steer the team in the right direction when you yourself don’t quite know what to build. At iDoneThis, we’ve seen peer management as an effective approach to take for the young startup CEO. We’ve worked closely with many first­-time entrepreneurs like Danny Wen at Harvest and Tobi Lutke at Shopify who have succeeded in building unique, quirky, and profitable companies by empowering individuals at their companies to manage themselves and each other to build out great products exceeding a high standard of excellence. Here are some keys to effective peer management that we’re seeing. Skillshare uses a system called Objectives and Key Results (OKRs) to systemize accountability. Every individual is responsible for company objectives, which are broken into measurable bites in the form of key results, resulting in alignment within and accountability throughout the team. At the end of every week, month, and quarter, individuals measure themselves against their OKRs to evaluate performance. OKRs have a rich history in building great tech companies, going back to Andy Grove at Intel in the 1980s and what he called “Management by Objective.” Drawing a fundamental distinction between output and activity, Grove’s use of the word “objective” involves dual meanings. Output is both the objective and something that’s objectively measurable, while activity is a black box. An engineer at heart, management by objective was Grove’s way of bringing scientific and engineering principles to management. OKRs have since been embraced by tech giants like Google and Zynga and spread throughout the Valley and to the broader tech world. At Salesforce, they do V2MOMs (vision, values, methods, obstacles, and measurement); at Yammer, they do MORPHs (mission, objectives, results, people, and how did you do); others use KPIs (key performance indicators). 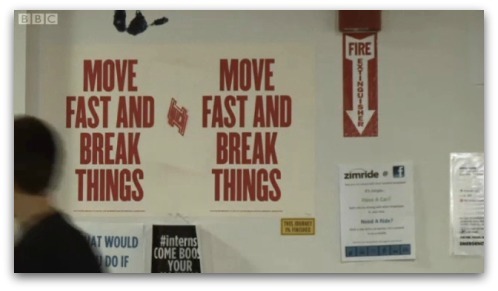 While the acronyms may vary, the general principles hold true. To Mark Pincus, OKRs are the solution to the basic problem that’s at the heart of many a founder’s anxious and sleepless night: how “to keep everybody going in productive directions when you’re not in the room.” Every individual has one objective, and they are the CEO of that objective, entrusted with authority and accountability for their objective and the key results necessary to get there. 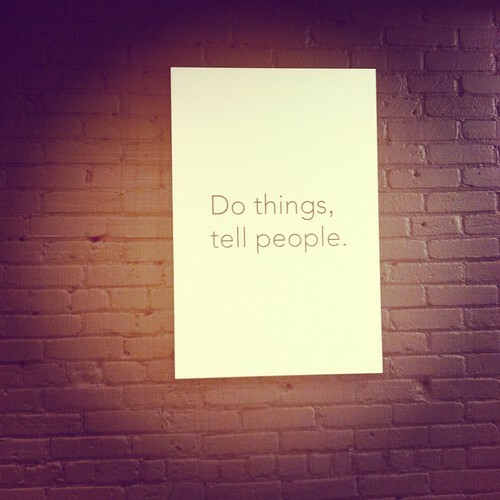 “Do things, tell people. These are the only things you need to do to be successful.” When individuals are CEOs of objectives, goals, and projects, they need a way of measuring the intermediate progress and activity of themselves and their peers. As with the quantified self movement, tracking progress — writing it down — leads to reflection, knowledge, and betterment. In old school, hierarchical companies, information that passed down to employees or up to executives had to travel through middle managers and that created a single-point of failure anti-pattern. You had to rely on your manager to get information and also to market your accomplishments upward to upper management and the executive team. Where individuals manage themselves and each other in a peer management environment, it’s vitally important that everyone gets the requisite information flow they need to do their jobs and that they have channels to market their own accomplishments and results. The system of snippets adopted at Google is an example not of big brother monitoring, but of empowering individuals to see everything that’s happening in the company so that they can find their niche in the company and contribute. You get a weekly email that asks what they did last week and what they plan to do in the upcoming week. Replies get compiled in a public space and distributed automatically the following day by email. The power of Google snippets is in gathering data to demystify the black box of the notoriously fuzzy production process — in which raw material turns into output with the application of labor — and makes progress possible to measure, analyze, and recognize. It makes sense then that peer management environments tend towards transparency, meritocracy, and individual professional fulfillment. Companies on the rise like Shopify and Harvest track and celebrate their daily accomplishments with a daily email from us here at iDoneThis. In company cultures of extremely high personal autonomy, fit is paramount because it reduces friction in every interaction. Companies like Valve and Github tout boss­less cultures. Stripe is building a world-­class team and every employee can veto a potential hire. While fit can be tested by hiring a candidate first as a contractor, fit often amounts to guesswork based on intuition and impression during interviews. Peter Thiel said PayPal once rejected a top­-notch engineering candidate because he said during an interview that he liked to play “hoops,” and a PayPal engineer does not play basketball, much less “hoops.” The wisdom of that decision is unclear, but that decision process no doubt solidified a sense of self in the team. Fit is about an ever­-solidifying sense of self as much as it is about bringing on like­-minded people, and that sense spawns canonical stories and processes. Carwoo is a company that’s a little weird, so they ask every interviewee how weird she thinks she is on a scale of 1 to 5. There is a right answer. 3­-4 is the sweet spot ­­a weird person who is self-­aware. As work gets automated and outsourced, self-directed, creative work is required in ever-increasing degree. Peer management not only makes us more efficient, but it builds a workplace that enables — as Dan Pink describes — autonomy, mastery, and purpose that makes work fulfilling and joyful. Liked this post? Subscribe to our free newsletter for more great content on productivity, startups, and how to work better!